Home Technology Mobile Phones How can I read WhatsApp messages on someone else phone? Why do we need to read WhatsApp chat of others? Many people want to have a check upon others and the best way is via social media. We know that parents want to have a check upon their children and there can be other valid cases where keeping a check on others is justifiable. We do not want people to intrude into someone’s privacy as that is not even acceptable for us, yet in many cases, we have to so that we might come out of a doubt. So in such a case, the best way is to see someone’s WhatsApp messages. Now, if you want to sneak into someone’s WhatsApp chat, you shall be equipped with the mobile phone of that person, your own mobile phone that has a camera, a computer or a laptop. How to sneak into someone’s WhatsApp chat? Get the mobile of the person whose conversation on WhatsApp you want to track. You must have access to the WhatsApp of the person which means that you can unlock the phone. Now open https://web.whatsapp.com/ from your computer or laptop and open the WhatsApp from the mobile. Then, from the main menu open up the WhatsApp web. Once you have accessed it, go for the option of scanning QR code. 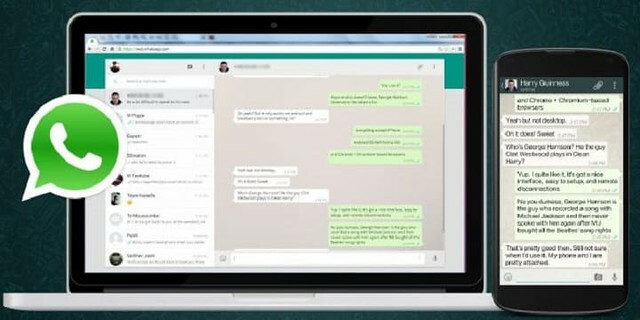 Once done, the WhatsApp chats of that person will be accessible on your laptop or computer. 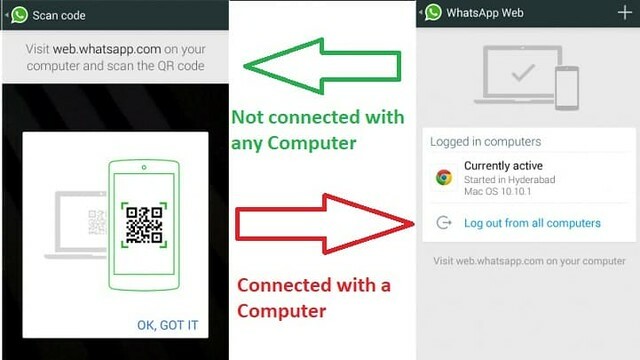 If computer and WhatsApp are connected once, it will remain connected until they are manually disconnected by the mobile user. However, you can check with your computer only when the mobile of the person being spied is connected with the internet. How to know if someone is checking my WhatsApp messages? In Android devices, WhatsApp shall notify the mobile user through a notification that their WhatsApp web is active. The other way is to go to Settings on your WhatsApp and click on “WhatsApp Web/Desktop”. If your phone is connected with a computer, the following kind of message will appear. If it is not connected with any other computer, your camera will open to scan the barcode. How to stop someone from checking WhatsApp messages? If you get to know about it, you can always stop your access to their chats via their WhatsApp application settings. You need to go to “Settings” in WhatsApp and click on the “WhatsApp Web/Desktop”. The computer with which it is connected will appear on the screen as shown in the screenshot above, you need to click on “Log out from all devices” and that’s it. Also, there is no way you can sneak into WhatsApp of the other without having their phone. If you wish to have an access, first get an access to their mobile phones!